The capaNCDT 6110 single channel capacitive electronics is an extremely compact and low cost controller, compatible with all Micro-Epsilon capacitive sensor ranges. 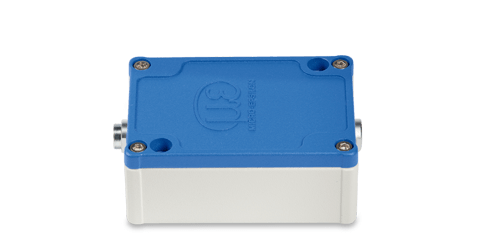 Designed to be robust and simple to use, it is ideally suited to integration into OEM applications and simple single channel end user requirements. With all items available from stock, the user can quickly select the most suitable sensor range and cable length to be used with the capaNCDT 6110 electronics. For higher volume applications, the capaNCDT 6110 can be used as a base specification for modification to user specific requirements. The flexible 9-36V DC power supply, enables the capaNCDT 6110 series to also be used in mobile applications. Measurement output values are selectable 0-10V or +/-5V DC and high temperature stability and resolutions are achieved. The capaNCDT 6110 lends itself well to a wide range of applications and is compatible with all capaNCDT sensors. With a possible power supply of between 9V and 36V, the system can also be used in passenger cars and trucks. The measurement values are output via a voltage output. The capacitive DT6110 controller is the entry model for high resolution, capacitive displacement measurement. Due to its extremely compact size, the controller can also be integrated into restricted installation spaces. The DT6110 controller is compatible with all sensors and cables of the capaNCDT series. The DT6110/ECL2 controller provides an extended cable length. The capacitive DT6112 controller is the entry model for dynamic measurement tasks. A bandwidth of up to 20kHz (-3dB) enables reliable monitoring of fast processes. The DT6112 controller is compatible with all sensors and cables of the capaNCDT series. Equipped with an analogue output and an RS485 interface, the capacitive DT6120 controller is the entry model for high resolution, capacitive displacement measurement. Due to its extremely compact size, the controller can also be integrated into restricted installation spaces. The DT6120 controller is compatible with all sensors and cables of the capaNCDT series.